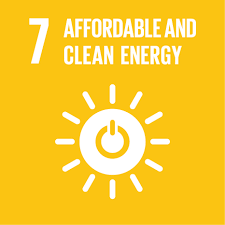 UN SDG #7 is to "ensure access to affordable, reliable, sustainable and modern energy for all"
Efforts to promote growth and reduce poverty are often hampered by a lack of reliable electricity. In Africa, electricity access is a major or severe constraint for over 50% of the local businesses. The unreliable energy supply makes them uncompetitive, it slows job growth and drags down annual GDP growth. Studies show that countries with electrification rates of less than 80% of the population have a consistently lower GDP per capita. A literature review of the links between energy use, economic growth and job creation confirms that energy and economic growth are closely linked. The main job creation impacts in the energy sector happen not only in the investments themselves or in the equipment supply chain, but in how the electricity is used in the wider economy to stimulate additional production and how it reduces costs. These impacts are known also as second-order effects and fall into two categories: The effects due to the improved reliability of electricity (there are fewer interruptions to production) and the effects due to increases in the amount of electricity supplied to the grid (there are more connections and the number of hours of work increases). The effects of electricity outages on enterprises can be measured by their impact on sales. In Tanzania, for example, power outages cost businesses around 15% of annual sales. Energy is essential to addressing the major challenges and opportunities the world faces today. Modern, high quality and reliable energy is needed for services such as lighting, heating, transportation, security, communication and education. It is also important to ensure better health, improving security, higher incomes, and improvements in the quality of life. Energy production and consumption are enablers of development, but they are also major contributors to climate change and the sector accounts for about 60% of global greenhouse gas emissions. Population sizes and energy consumption in developing countries are increasing, and higher emissions from these countries are inevitable, though starting from a low level. If the average African emitted the same amount of CO2 as the average Chinese, the world’s total CO2 emissions would increase by around 4.9 billion tonnes. We also know that many developing countries are particularly vulnerable to the effects of climate change. If the universally agreed target of keeping global warming to less than 2°C is to be met, much of the new energy capacity will need to come from clean energy sources and large investments in renewable energy will be required. It is estimated that reducing the use of coal over the next 20 years can achieve 80% of the required energy sector emission reductions globally. A study of the hydropower plant Bugoye in Uganda found that the effects if providing more and better power supplies led to the creation of 8-10 times more jobs than the number of direct jobs created during the construction of the plant and its operations. The study found that almost 1,100 jobs were created during the construction and operation phases of the project while the number of jobs created as a result of the larger and better power supply was estimated to be as high as 8,400-10,300. Across the estimated duration of the project, this totalled 218,000 - 264,000 person years. Norfund played a key role in developing the project and invested USD 8.4 million in the project which began operations in October 2009.